This magnificent home is located on a ½ acre home site in the desirable Aynor School District. This magnificent open floor flan features vaulted/cathedral ceilings, wood flooring, multiple storage and hall closets, breakfast bar, granite counter tops and much more! The large master bath features an over-sized shower, double sink, make up vanity, private water closet, and double spacious walk-in closets. 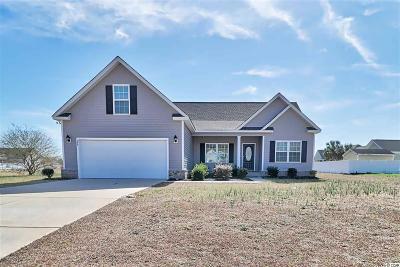 Exterior features include a 1/2 acre lawn, large front porch, and back patio. A spacious Carolina Room overlooks the enormous rear lawn! Call today to schedule a showing of this wonderful home!